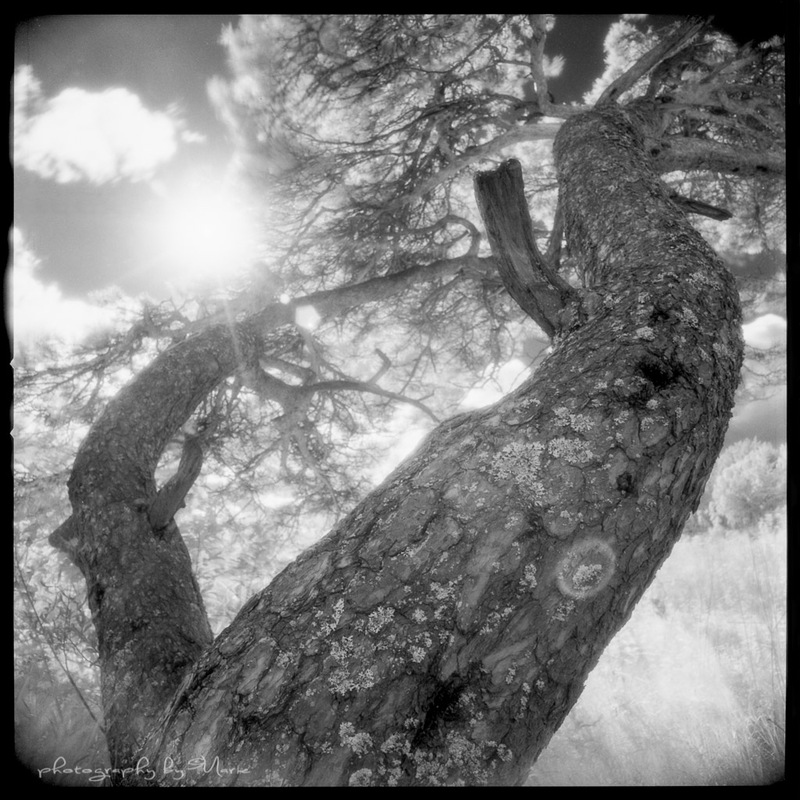 I keep on testing my new favourite film, the Efke IR 820. This time I was curious about how it would cope with strong backlight. You can see on the second image that I am photographing right into the sun, and I’m more than happy with the result! The main problem I have with lighting like this is keeping the filter clean to avoid phantom highlights. Thanks a lot! I haven’t had that problem yet, but I’m very meticulous with using lens hood when photographing in the sun. Can that be a solution to the problem, or are you also using it already? Sadly I don’t have hoods for most of my Bronica lenses, and also I have to make use of a 77-67mm stepping ring for all but one of them, which would make it hard to use a hood, even if I had one..
Maybe you can make a hood, from black cardboard or something like that? Or maybe search for a “generic” one? I like the first one a lot, I feel the atmosphere is more complete in that one than in the second one. You shouls try to do pictures pointing to the sun. 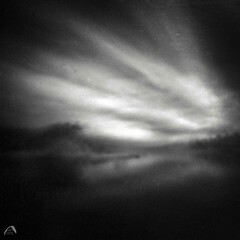 At least in pinhole cams it works really nice! Thanks a lot Jesús! Yes, I know, it gives the most wonderful sun flares!! Love that! If it works, I’m gonna do the same with my Zero2000. Thanks a lot Patrick! You’re right, the sky is getting much more dramatic in that way. But it is thrilling to put a film up to the test of its limits. I bought a decent stock and I thought I have to test it, but if I just have had a couple of rolls, I would never have done this. It is too precious for that. Btw, I loved the skintones you got in your portraits with IR film, it was really really beautiful! Agreed! I am very interested in your results. 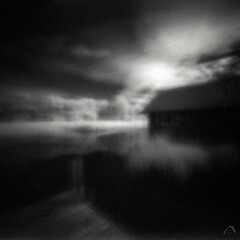 As you know, I’ve been shooting Efke IR films for some time now and I absolutely love what it can do. Looking at your photos, I now realize that I can push my rolls even further : ) I have quite a stock of Efke IR Aura and IR 820 as well, mostly in medium format but some 35mm too. 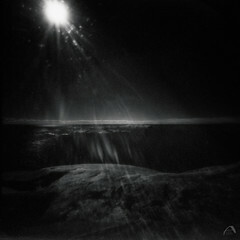 I feel I can be a bit more experimental with a roll here or there ( even shooting with a pinhole camera ). I think I can afford to be more liberal with my lighting and even shoot on cloudy days on occasion. Thanks for your comment on the skin tones, I’m glad you like the results. I’m quite pleased with how skin turns out to be sheer white with these IR films. They even have a soft glow to them! Incredible stuff really, and I’m very pleased with the effort I’ve put into acquiring and shooting these rolls : ) Anyhow, keep up the great work – it’s always a pleasure to visit your site~!! It is definitely a big loss for the photography world. Too many amazing films have gone to the wayside. 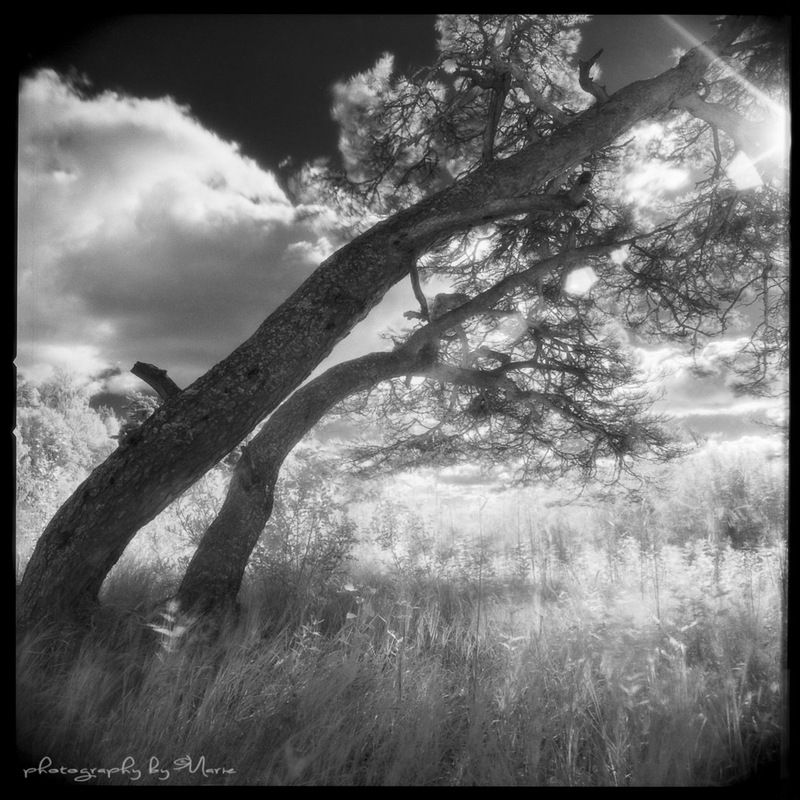 I found that even expired Efke IR 820 yields great results. I didn’t see anything wrong with the negatives, even though the film was over three years expired. That is good to know, then I have lots of time to use my stock. Thanks again Patrick! Fantastiska… både bilderna och träden! Mäktigt… och andra bilden, där kan jag nästan känna strukturen med mina fingrar. Helt rätt – såna personligheter kan man inte låta bli 🙂 Jag tycker verkligen om känslan i dina bilder här, Marie. Thank you very much! They feel very much alive really. Two very special pine trees. This computer is getting me mad!!!! I wanted to write the tree…Mainly the big one! Which web browser do you use? I use Mozilla Firefox, it is easy to use, I just hate Explorer, can’t get rid of that auto correction… Is it that you have problems with? Yes, it is…And it does what it wants to do!!!! I thought that I had commented . . . But let me say that I find your work simply stunning, and very inspiring. Thank you!